What a Strange Week it has Been!!!!! What a strange week it has been, literally, I never imagined that when I started this week so many crazy and disturbing stories would make the news in North America. I know I have watched and possibly reviewed on here some of the most disturbing flicks out there. In fact, it was just last week where I profiled the true story behind the movie The Afflicted. However, as tragic and disturbing as that story is, it has nothing on the reality of this week. If you missed it, here is a recap of sorts. 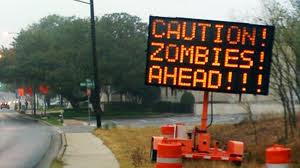 Saturday, news broke of the strange cannibalistic attack on a man on the MacArther causeway near Miami Beach, FL.Not only was this a ghastly attack, the entire thing was captured on a security camera, bringing the entire story to world in full color. Of course, this camera also captured the violent end when the police shot the perpetrator multiple times after he would not stop eating the victims face. When I ran to Family Video to take some flicks back, I decided to check and see what was available. For me, this heat has been miserable and even made me suffer inside on my first Memorial Day since I have retired. I did get out early in the morning to go fishing with my dad, catching three amazing trout, but that drained me to the point where I could not function. 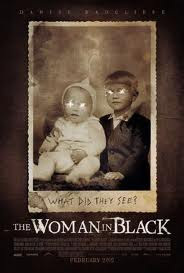 Luckily, I had something to watch in the 2012 Hammer Films atmospheric ghost story The Woman in Black. Plot/ A young lawyer, struggling with work after the death of his wife, is sent to a remote village to settle the estate of a deceased eccentric woman who owns an English manor. The village residents want him to leave as they are trying to conceal a deadly secret. I wanted to keep watching flicks that centered on serial killers or something from the slasher genre. Of course, there are many choices out there, especially when hitting our local Family Video Store. What did we find this time? The 2010 romp, Death and Cremation. 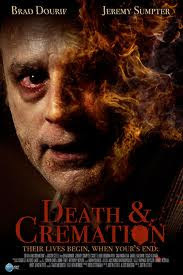 Plot/ In a typical American suburb filled with middle class morals, a lonely 59-year-old, Stan, contributes to society by offering cremation services from his basement. In fact, Stan murders neighbors he perceives to be social bullies. Jarod, a fatherless 17-year-old high school outcast, lands an after-school job in Stan's cremation house and the two develop an unusual working relationship that quickly evolves into a partnership. As detective Matt Fairchild puts together clues from local disappearances, Stan must decide if protecting his newfound trainee is worth killing for. 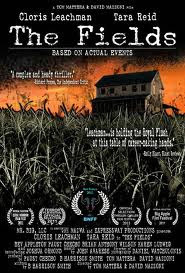 Plot/ Tells the story of a young boy and his family who are terrorized by an unseen presence. 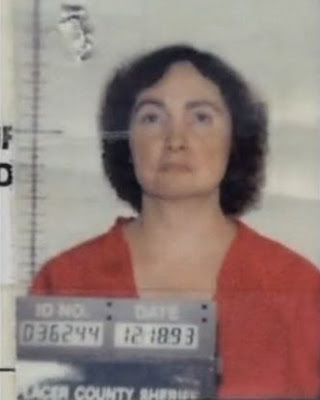 So, after a week spent in the depths of religion on here, this week seems centered around serial killers and slashers. Of course, that is always a somewhat fun genre to watch, as those flicks can be all over the place. The next one up for review is the 2011 indie entry from Brain Damage Films and Midnight Releasing, Filth to Ashes Flesh to Dust. Whenever you go to a video store, there is always that film that you look at and in the end decide against. Finally, after some time, you break down and pick it up, hoping you made the right decision. In my case, with the terrible streak I am on, I am sure that it would never be what I was hoping for. The flick that backed me into this corner was A Darker Reality from 2008. Plot/ Detective Alex Belasco and his assistant a media savvy personality named Jesse Metcalfe are searching for a serial killer who targets women known only as “The Ghost”. As they dive deeper into his mind and inch closer to finding him, they discover something dark, depraved and disturbing. I was going to did out The Wicker Man, instead, I decided to venture into the darkness that is Edgar Allan Poe. I love Poe and the deep stories he created. He was truly a genius and he was lost before his time. While The Raven is all the rage, I decided to venture into something different, the 2012 Indie entry, Requiem for the Damned. Plot/ For nearly two hundred years his stories of the macabre have shocked and terrified audiences. 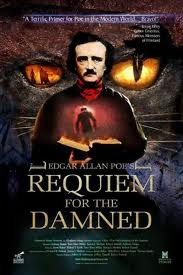 And now, inspired by five of Poe's most terrifying tales, five filmmakers have banded together to create the ultimate tribute to the master: Edgar Allan Poe's Requiem For The Damned - featuring adaptations of : The Fall of the House of Usher, The Pit and the Pendulum, The Black Cat, The Tell-Tale Heart, The Murders in the Rue Morgue. Plot/ Charmed by the residents of Tressock, Scotland, two young missionaries accept the invitation to participate in a local festival, fully unaware of the consequences of their decision. In looking at the blog this week, it seems like a strange religious theme started to permeate the pages. Incredibly, there was not plan to this and there was no rhyme or reason for it to take place, especially considering the movies were selected at random. 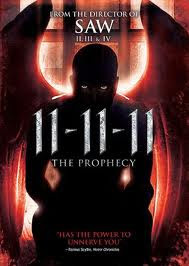 The next film that came in was the Darren Lynn Bousman religious thriller 11-11-11: The Prophecy. Plot/ After the death of his wife and child, an author travels to Barcelona to see his estranged brother and dying father, where he learns that his life is plagued by events that occur on 11-11-11. After watching a twisted religious piece in The Afflicted, I wanted to keep the strange religious themes going this week. I mean, honestly, is there anything better than demons running amuck or seeing an exorcism? I do not think so. 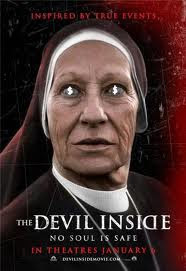 My selection for the evening is the 2012 docudrama / horror The Devil Inside. Plot/ In Italy, a woman becomes involved in a series of unauthorized exorcisms during her mission to discover what happened to her mother, who allegedly murdered three people during her own exorcism. After an interesting day at work, and a unfruitful trip to the lake, I decided to kick back and watch something a bit different. 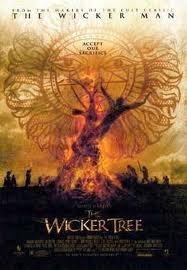 This one was more of a drama or thriller than clear-cut horror entry, but who cares. It is always good to change things up. The selection from 2010 is The Afflicted from Midnight Releasing. Plot/ This is a story of incomprehensible abuse delivered by an explosively violent mother of four and a journey through the mind of a child that experiences a living hell, defined and defended by the twisted religious beliefs of her mother. If you have read my blog, you know that I love creature features and cheesy low budget flicks. Honestly, is there anything better than a schlockfest with a man in a rubber suit? Well, I am sure there is, but whenever the flick is based on a reptilian Bigfoot like Lock Jaw, it cannot be all bad, can it? Hmmm, I guess it can. What movie am I talking about, Creature from 2011. Plot/ In the back country of Louisiana, a group of friends unearth a terrible secret that unleashes a monster from the depths of the swamp.